Sangtin Kisan Mazdoor Sangathan (SKMS) was formed in 2005-06 with the objective of uniting farmer-labourers, both women and men, in Sitapur district in their struggles for rights, dignity and recognition as stakeholders in the processes of development at all levels. In the decade since, the sangathan has expanded to 7 blocks of the district, with a presence in more than 100 villages. It has campaigned successfully for employment through MGNREGA (the Indian government’s employment guarantee Act), access to irrigation waters, food security , pensions, health services and more. 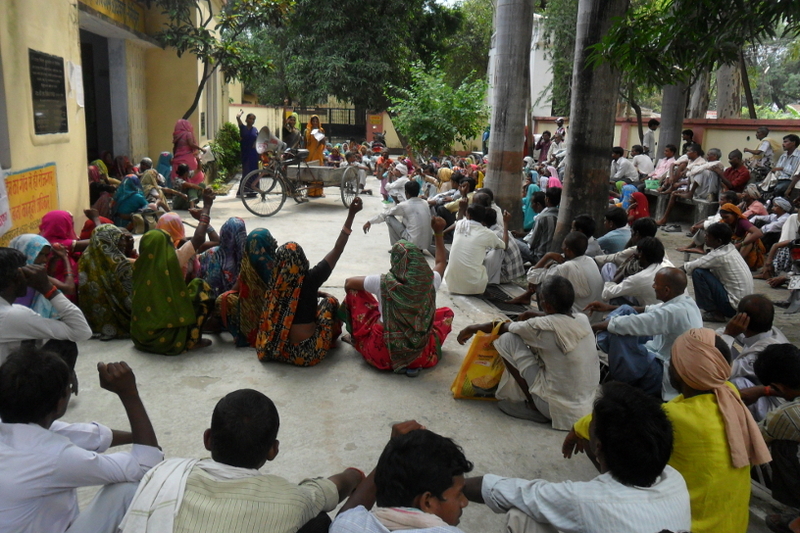 It has established a reputation as a strong and honest collective that truly represents the rural poor and marginalized communities in Sitapur district.